IMPORTANT: The access to the Smart DNS service is granted based on your IP address. Please update us if your IP address has changed (i.e. your ISP uses dynamic IP addresses) or otherwise our servers would be blocked for you. 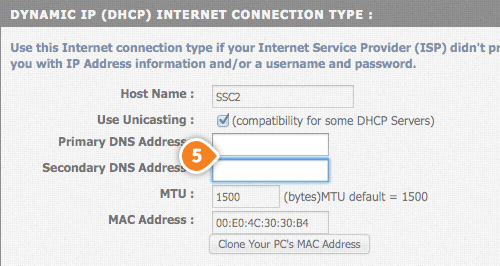 Click here to update your IP address using the 'My Account' panel. 1. Log in to your router. 2. 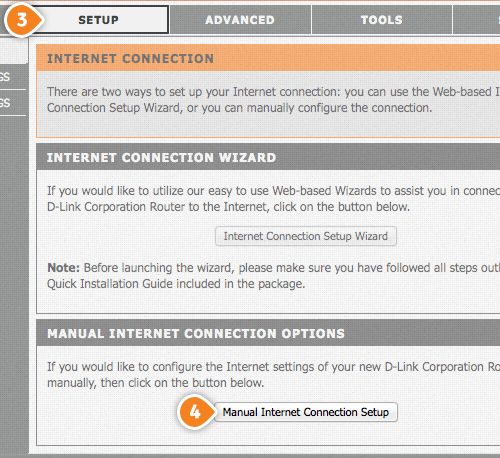 Under “Setup” tab (3), select “Manual Internet Connection Setup” (4). 3. Wait for about 10-15 seconds, then click “Continue” and you’re done! Wait for about 10-15 seconds, then click “Continue” and you’re done!